International property consultancy Knight Frank ranked Wellington number 16 in its latest Global Residential Cities Index. The top eight spots are occupied by Chinese cities, with Nanjing and Shanghai coming in first and second. Auckland is now sitting at number 24 in the index after being overtaken by Wellington in terms of annual house price growth. "Annual price growth in the city (17%) has seen it overtake Auckland (15%) as New Zealand’s hottest housing market, a title Auckland held for eight years.” said Knight Frank residential research specialist Kate Everett-Allen. Local data continues to back up the Global Residential Cities Index, with the median price in the Wellington region reaching a record high of $500,000 in November according to REINZ. Values in the Wellington region rose by 5.5 percent over the past three months and 20.6 percent on an annual basis according to QV, who have the region’s average property value sitting at $565,631. While this is still a long way from the lofty heights of Auckland, prospects of growth in the capital are only likely to improve. While sales were down in Wellington over November following the Kaikoura earthquakes, the overall market trend is improving thanks to increasing prices and healthy long-term sales volume. While “the market may be a little subdued over the next few months as insurance and other post-quake issues are worked through.” according to REINZ regional director Mark Coffey, this situation is short-term and likely to improve over 2017. According to the latest data from Trade Me Property, the capital’s rental market is also looking healthy, rising by 9.5 percent over the year to $433 - the second biggest year-on-year increase in median weekly rents. 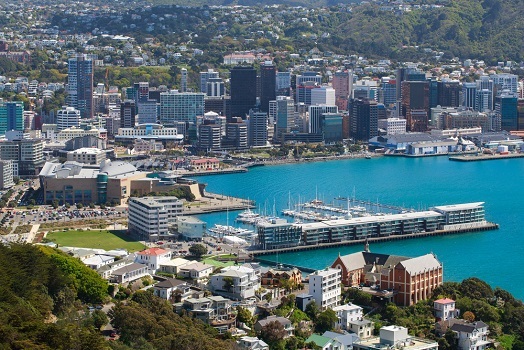 Renewed growth in Wellington is related to relaxed conditions in Auckland, with house sales and prices both falling last month as the country's biggest city faces ongoing lack of supply. According to Barfoot and Thompson, the number of houses sold in Auckland fell by 24 percent to 721 in December, with the median sale price slipped 1.2 percent to $840,000. While the median Auckland sale price was up 5 percent from December 2015, the volume of sales was down by 9.4 percent. Despite the slowdown in Auckland, however, there is "certainly no suggestion that current prices are under any great downward pressure and normal sales numbers are being achieved," according to Barfoot and Thompson managing director Peter Thompson.